Tabasco lovers, get ready to book a flight to Louisiana. Today, the hot sauce company opened a Tabasco-themed restaurant at the brand’s headquarters on Avery Island. Tabasco lovers, get ready to book a flight to Louisiana. Today, the hot sauce company opened a Tabasco-themed restaurant at the brand’s headquarters on Avery Island. Dishes include classic Cajun signatures like jambalaya and boudin, as well as some more out-there Tabasco-inflected creations like raspberry-chipotle ice cream. If you can’t make it out to the restaurant but are still craving some spicy, tangy Tabasco, we have just the thing to tide you over. Here, nine deliciously fiery Tabasco-spiked recipes to make at home. You can’t get lazier than this. 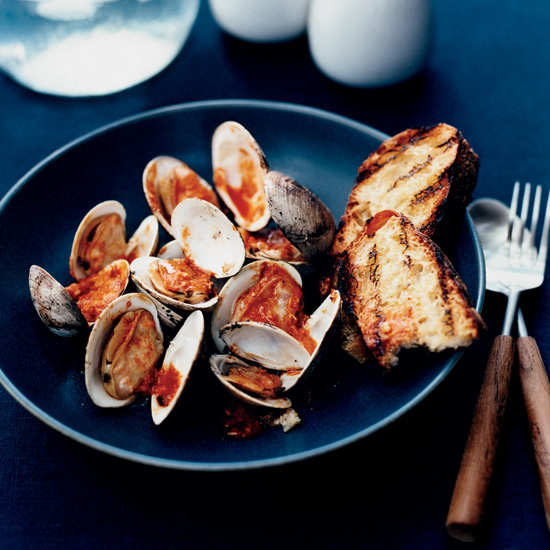 Simply throw the clams on a hot grill, wait for them to open and start sizzling, then top them with a spicy sauce spiked with horseradish and Tabasco. Is this an American take on a Vietnamese classic or a Vietnamese take on an American classic? Either way, these spicy burgers topped with Tabasco-spiked mayonnaise, slivers of crunchy pickled carrots and sprigs of cilantro are wonderful. The pungent dressing for this salad is made from anchovy, Worcestershire, Tabasco and jarred mayonnaise. These wings are already hot thanks to cayenne and a full tablespoon of Tabasco. But you can always pass more Tabasco at the table if you want them incendiary. A salute to the flavors of New Orleans, this cocktail spices up a Pimm’s Cup (Pimm’s No. 1, lemonade and 7-Up) with a splash of Tabasco and a generous dose of rum or vodka. These briny, smoky oysters are delicious with sweet-and-spicy Tabasco-leek butter. This crab-packed soup has a sneaky heat thanks to a hit of cayenne and Tabasco. These sublime crab cakes feature lots of crabmeat, lightly held together by saltine cracker crumbs, Tabasco sauce and mayonnaise.